You’re busy. There’s no question about it. From managing your business and employees to keeping up with family activities, the life of a small business owner can be hectic. You try to keep tabs on the latest trends by reading such small business magazines as this, but sometimes it’s not enough. To further expand your business experience and increase office productivity, it’s imperative to attend industry specific conferences. Finding the right conference to attend is daunting as there are hundreds, if not thousands each year. In order to help make your life easier and stress-free, we’ve crafted a 2012 guide to small business conferences specifically for you. So get out those calendars and monthly planners as we list our top conferences for the first half of 2012. Why you should attend: Located just down the road from us in Dallas, Texas, the Global Conference on Disaster Management is perfect for all small business owners. Natural disasters can strike at moments notice, but does your small business have the necessary preparedness skills for before, during or after a disaster? Get the knowledge and hands-on training needed by attending this event next month. Why you should attend: Looking to make a splash in the social media space next year? Then this is the conference for you! Sponsored by Social Media Examiner, this event is designed to help you achieve social media success. But what makes this conference even better is the fact that you can attend from the comfort of your office chair! This online event is specifically designed to meet the demands of your busy schedule. How great is that? Why you should attend: Coming off an information-packed year in 2011, the 2012 Small Business Summit is gearing up to be one you don’t want to miss. Spend the day mingling with other like-minded small business owners and obtain insight from industry-leading professionals. Why you should attend: Take your business to the next level with this highly informative conference from Inc. Magazine. Meet with industry leaders and discover how to effectively develop a vision, manage a team and perfect that coveted elevator pitch. Why you should attend: In the wake of the U.S. Chamber’s 100th anniversary, this May, join more than 600 small business and local U.S. chamber leaders in Washington, D.C. This is one of the premiere events for small business owners next year; you definitely do not want to miss it. 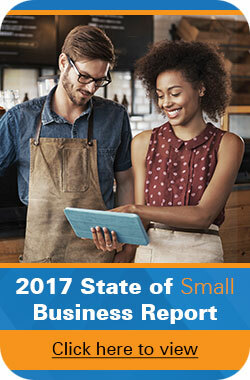 Why you should attend: Become a smarter, more proactive and overall successful small business owner. Learn from experts and obtain the information you need to know to run a successful business. Located in sunny Miami, Florida, we can’t think of a better way to round out the first half of the year while sharpening your leadership skills. Be sure to check back in a few months as we wrap up the second half of 2012. But in the meantime, sound off in the comments and let us know which events you’ll be attending.